Mainstream rock fans lead tough lives these days. While there are still major tours from classic bands, like The Rolling Stones and The Who, and an endless stream of re-releases of classic rock albums to look forward to, no one is truly releasing new rock. While there is a major release every few years by bands like the Foo Fighters, these albums are few and far between. To find a large scene with plenty of creative minds making new and unique music, one must resort to alternatives. Luckily for the rock purists, the Queens of the Stone Age exist. On Aug. 25, the now 21-year-old band released a new studio album full of riff-centered, hard-driving rock songs. 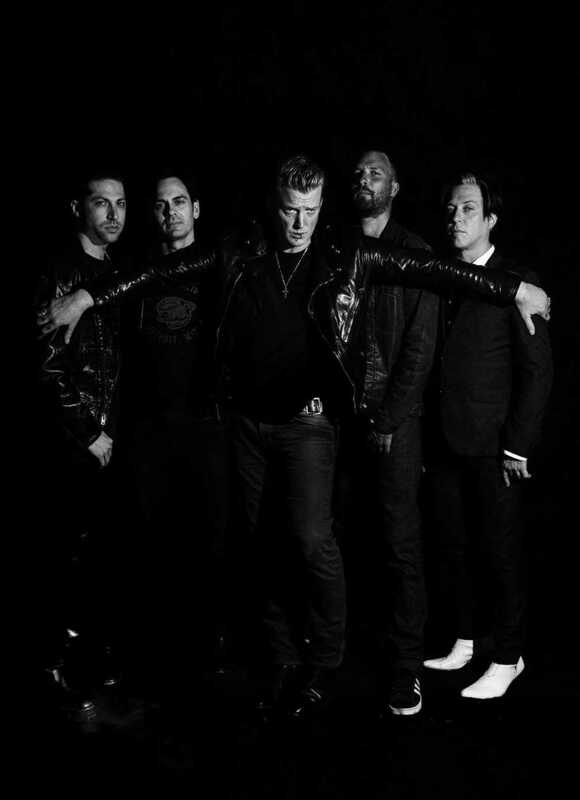 On the album, titled “Villains,” lead vocalist and songwriter Josh Homme attempted to revive a traditional metal sound that has largely been dead since the ‘80s. The sound of the album becomes quite surprising when one considers that it was produced by Mark Ronson, the British DJ responsible for “Uptown Funk.” Fans may have been concerned that Ronson would bring a more poppy feel to the band’s music, but he has had the opposite effect. The album is more stripped and simplified than the Queens’ other recent works, so it feels more natural than just about anything else produced nowadays. While “Villains” is hardly garage rock, the rawness of the music reminds of the Foo Fighters’ 2011 album “Wasting Light,” which was recorded in Dave Grohl’s garage on analogue equipment. While “Villains” draws most of its influence from the proto-metal riff-rock bands of the ‘70s, it is not simply a cover album full of aimless nostalgia and denial. Rather than trying to stall or halt the inevitable evolution of music, Josh Homme combined a classic style with modern synthetic sounds to adapt old music for a new world. “The Evil has Landed,” perhaps the most traditional of the songs on the album, features a heavy metal riff straight out of 1971, married perfectly to drum licks from 1972 and a synthesizer from 1973. The only departure from the ‘70s Led Zeppelin style is the constant variation in structure; the track does not just drone on for six and a half minutes, as it would have 45 years ago. Instead, the song employs tempo shifts to reinvent itself constantly for six and a half minutes, resulting in a piece that is both nostalgic and refreshing. This unique combination of early metal sounds with the kinds of shifts and variations in structure that only became common with the introduction of modern electronic music makes this album a unique and exciting listen. For a listener unfamiliar with the music of Led Zeppelin or Black Sabbath, “Villains” may sound completely new and fresh, a listening experience that is both rare and pleasant. For a lover of proto-metal, however, this album will feel like both a revisitation and a reinvention of a long lost and much beloved genre, an experience that is even more rare and even more pleasant.